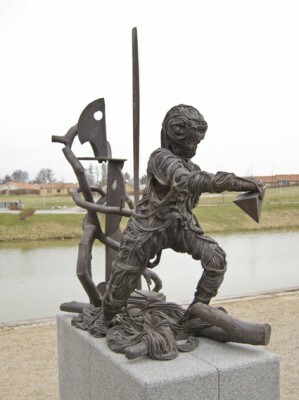 The foundry is primarily occupied with the casting of sculptures and figures in bronze and other metals. 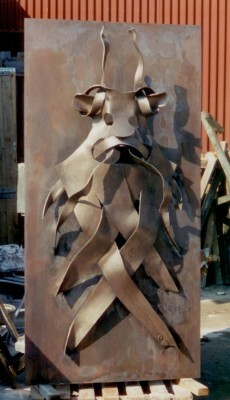 Sculpturel constructions in bronze plates. Restoration of sculptures and maintenance of our cultural heritage. 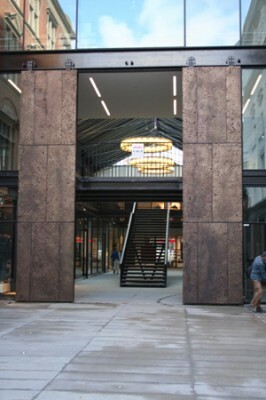 The bronze foundry, “Broncestøberiet”, employs 10 craftsmen, who are all highly professional specialists in their various techniques; stucco workers, chasers and bronze founders, whose expertise has been built on many years of working with the company. 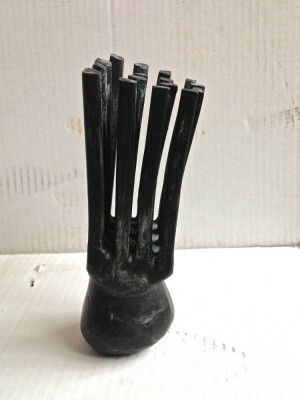 The special casting technique, Cire-perdue (“lost wax”), is used for casting in bronze and other metals. The policy of the foundry is, and always has been, that the workshops be open work areas. 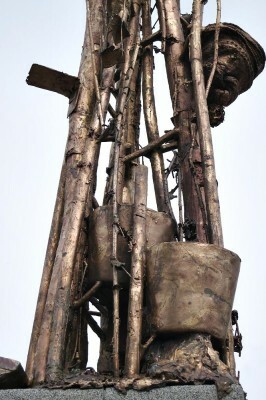 When casting in bronze and other metals the Cire-perdue/Lost wax technique is used. The advantage of this technique is that there are basically no limitations, in terms of size or complexity, for the projects which Broncestøberiet can engage in. So far now the largest work is 56 sq. m. casted surface and 108 sq. m. construction in bronze plates. Nor are there limitations regarding the choice of material used for the model or artwork, to be casted. 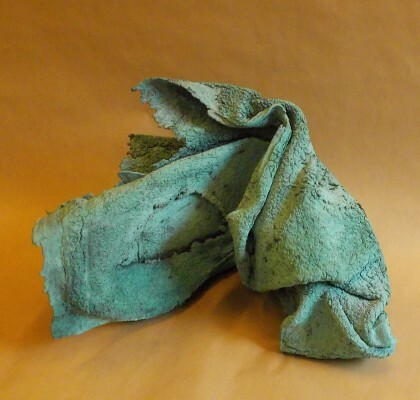 For example: clay, plaster, wax, plasticine, wood, polyester, stone, bone, paper, and so on. Models in inflammable or partly inflammable materials we cast directly. 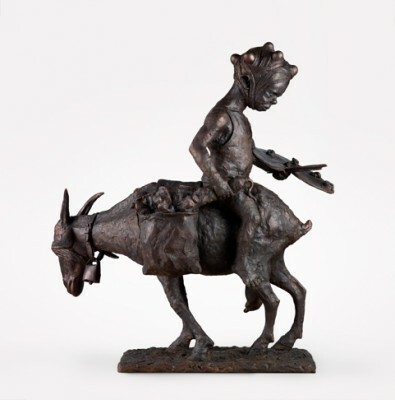 Broncestøberiet has 2 fully equipped mobile work stations with truck-mounted cranes which give us the capacity to work on site without having to move the sculptures. 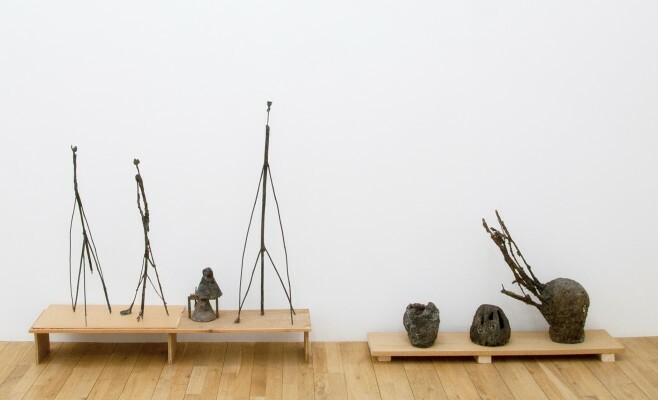 Many sculptors follow their works through the whole process, and the production of the sculptures takes place in close dialogue between the artists/clients and the craftsmen at the foundry. 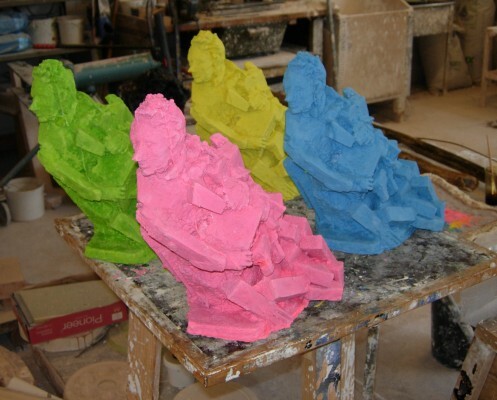 The artists can also work on their sculptures at the foundry. They often come to the foundry to review, retouch and sign their wax models, just as they also have the possibility of doing the finishing/chasing on their newly cast sculptures, either alone or in co-operation with a chaser. Patination of the finished bronze casting takes place in a similar close communication between Broncestøberiet’s craftsmen and the artist. Moulding in silicone and plaster. Casting of sculptures and figures in bronce and other metals. Casting of sculptures and figures in plaster. 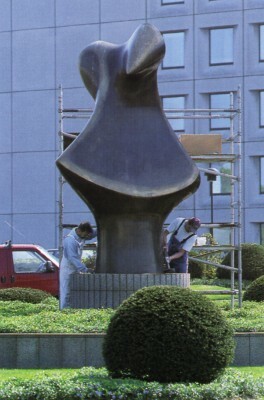 Construction of sculptures in bronze plates. Restoration projects: reparation, cleaning, patination. Model production based on sketches/drawings. 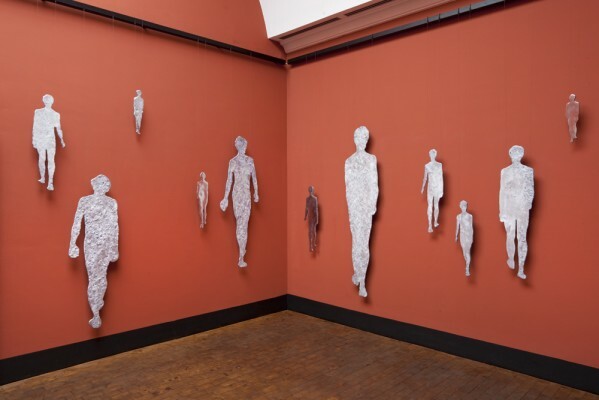 Enlargement/reduction models of existing sculptures. manufacture the silicone mould at the artist’s studio. This mould is then brought to the foundry for the next phases of the process. Broncestøberiet gives advice and guidance in technical solutions concerning, for example, reinforcement, attachment to plinths, foundations, protection against theft and so on. Broncestøberiet frequently works with other parties in connection with a casting project. Through the years we have established a good network of smitheries, stone masons, gild works, engravers, sculpture consultants, engineers, architects, conservators and others, and we can help with establishing the necessary contacts. Broncestøberiet has official environmental certification, and recycles a great quantity of materials in the work processes and additionally, endeavours to utilise the most environment-friendly materials at all times. The foundry continuously carries out trials with new materials, in order to improve the quality, both of the work situation and of the finished sculptures. Museums, and both domestic and foreign foundries, are also included among our project partners. The foundry always gives non-obligation prices based on photographs, drawings or sketches with the specified measurements, before work is commenced. The oldest discovered traces of the Cire-perdue method date back to 4000 BC, in Mesopotamia, which makes Cire-perdue the oldest known casting technique. 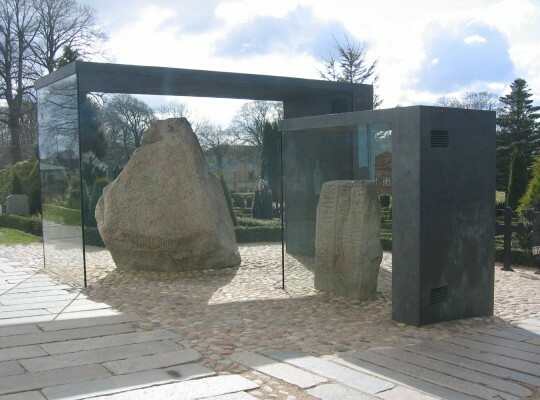 In a Danish historical perspective, Cire-perdue has been used as far back as the Bronze Age. “The Lures”, “The Sun Chariot”, “The Golden Horns”, weapons and ornaments have all been cast using Cire-perdue. A fascinating idea indeed that, in spite of new materials and production technology, the basic casting principle is still as applicable and invaluable, some 6000 years after its earliest known origin. H.87 x 32 x 37 cm. 2011. Sculptur Lisbeth Nielsen. Photo: Ole Haupt. Sculptur Lisbeth Nielsen Photo: Ole Haupt. 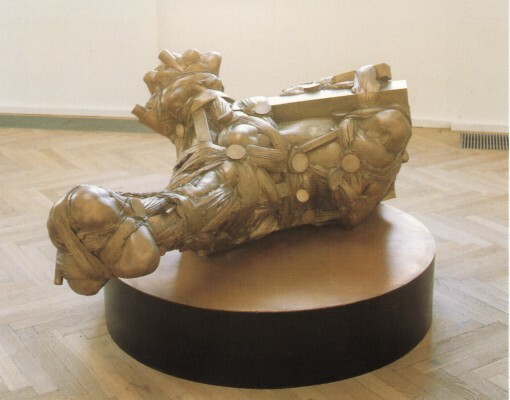 Broncestøberiet operates on the basis of 60 years of experience in the casting of figures and sculptures. 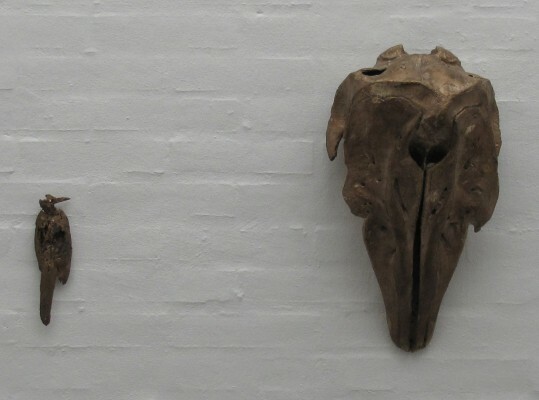 We work at a foundation of 150 yaers of Danish sculpture-casting-tradition – delivered directly from one craftsman to the other – and at the same time we discover and develop new possibilities and techniques in the use of the Lost-wax technique. Bronze founder Leif Jensen (1936-2000), the founder of Broncestøberiet, began his 5-year education, as bronce founder, with the Royal Danish Bronze Founder Laurids Rasmussen on the 20th of January, 1952. 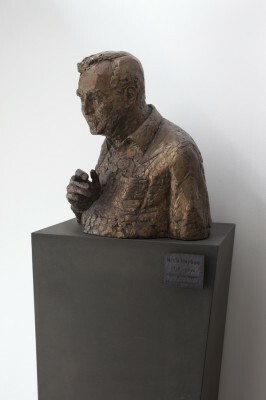 In 1957, he received his apprenticeship diploma with distinction and Bronze Medal, and subsequently worked in various foundries in Denmark and Sweden until 1971. 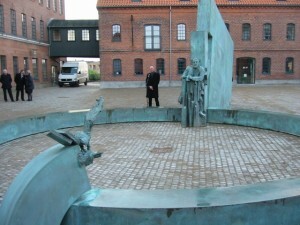 While in apprenticeship with Laurids Rasmussen, Leif Jensen was involved in re-establishing the casting method, Cire-perdue (“lost wax”), in Denmark. 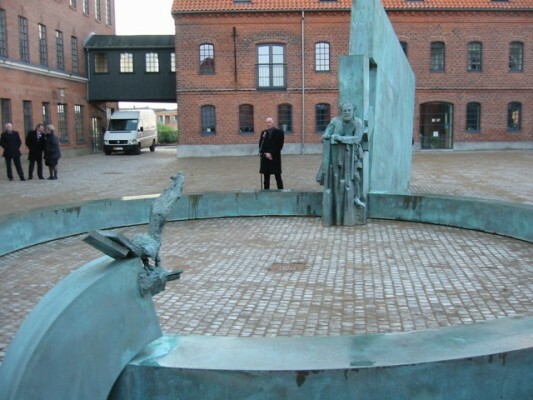 When the new Cire-perdue foundry, The Danish Sculptors’ Bronze Foundry, was started in Copenhagen in 1963, it was inevitable that Leif Jensen should work there. During the period, 1967-1970, he was the managing director of the foundry. 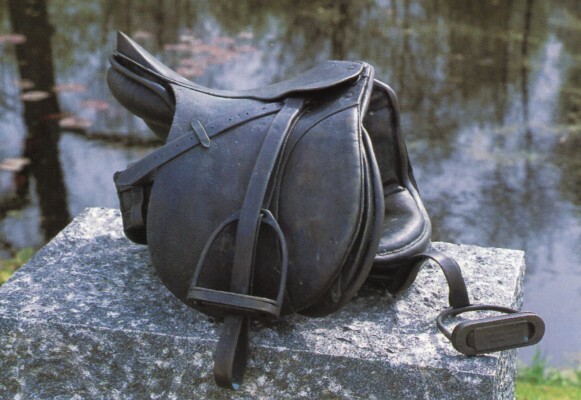 After many encouragement’s from sculptors, Leif Jensen and his wife Jytte, established BRONCESTØBERIET LEIF JENSEN on the 1st of February,1971. 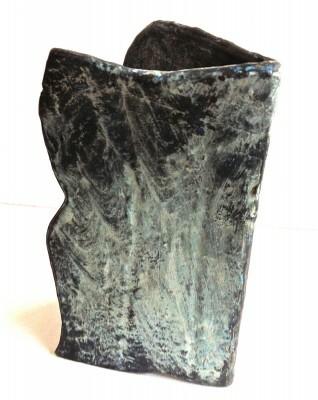 After just one month, stucco craftsman Aage Leif Nielsen(1944-2012) joined the foundry. 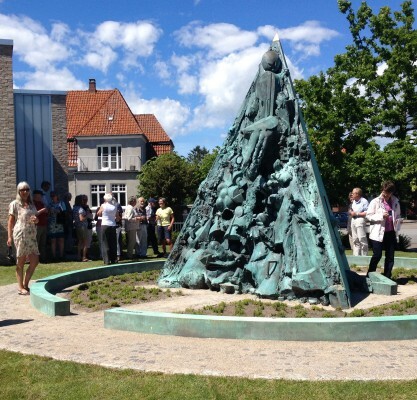 Today the foundry is the lagest of its kind in Scandinavia, placed in Bagsværd, north of Copenhagen. The foundry is a family business with commitment and atmosphere. Several of the employed craftsmen have been with the foundry for many years and are very experienced. 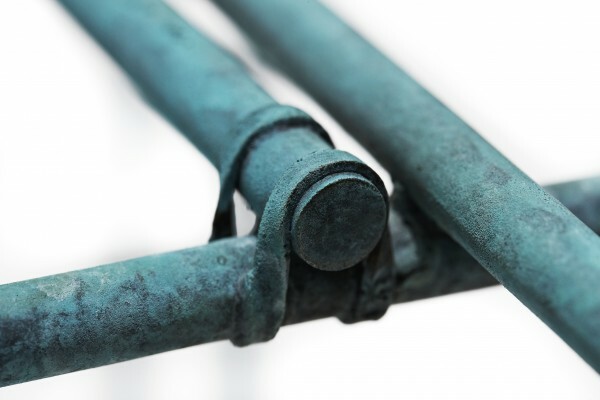 The son, Peter Jensen, and the daughter, Pia Jensen, have spent many hours throughout their childhood at the foundry, and Leif Jensen himself taught and guided Peter’s apprenticeship as a bronze caster. Due to the tasks we have been given, the foundry is and always has been in a continuous process of development. For example, from casting with a hand held 80 kilo crucible in 1971 to the present where we cast 800 kilos of bronze in one cast. 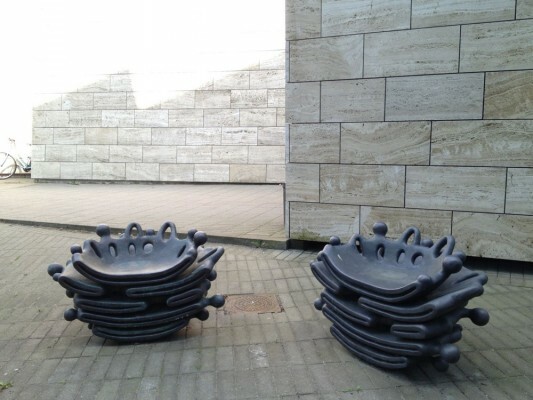 Recent years have seen development especially in the direct cast of sculptures originally made in inflammable materials – furniture, wood, plastic etc. and in modelling sculpturally in fluent aluminum as well as development in the choice of materials used in restoration work of metal sculptures. 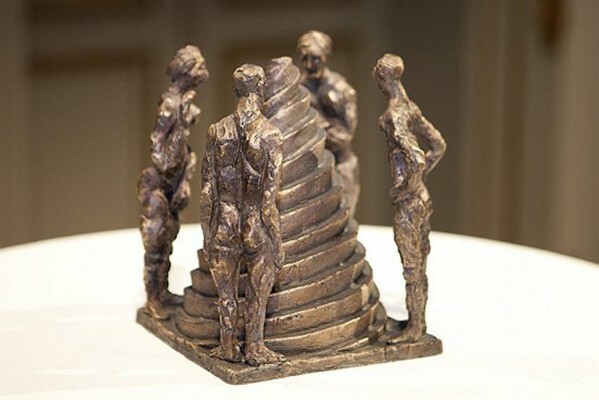 In 1991, Leif Jensen received an honorary award from “Sculptor, Gottfred Eickhoff and wife, Gerda Eickhoff’s Foundation” due to his craftsmanship and knowledge within the area of casting sculptures. 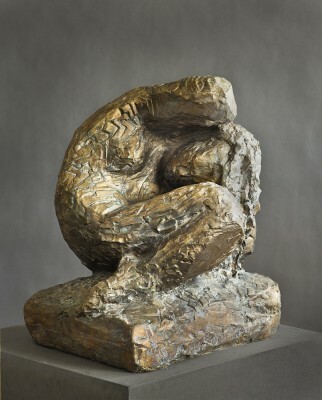 Alongside the day to day running of the foundry, Leif Jensen taught bronze casting to art students in the sculpture department of The Royal Danish Art Academy for 25 years, thereby creating a deep understanding in Danish sculptors for the many possibilities of the Cire-perdue casting technique. From 1986 Peter Jensen had this teaching post for a number of years. Since 2011 Peter Jensen has hosted various workshops in relation to the academy and is currently teaching once a week. 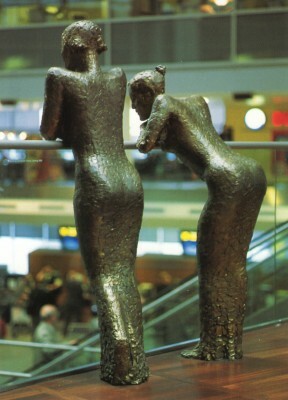 Erected in Terminal 3, Copenhagen Airport, 2000. 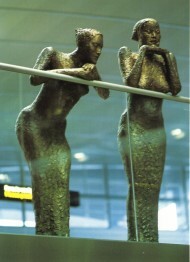 Sculptor Hanne Varming. Photo: Mike Lamb. Sculptor Hanne Varming - Photo: Mike Lamb. Broncestøberiet’s clientele stretches across the whole of the Nordic Region and a large part of Europe aswell as USA. 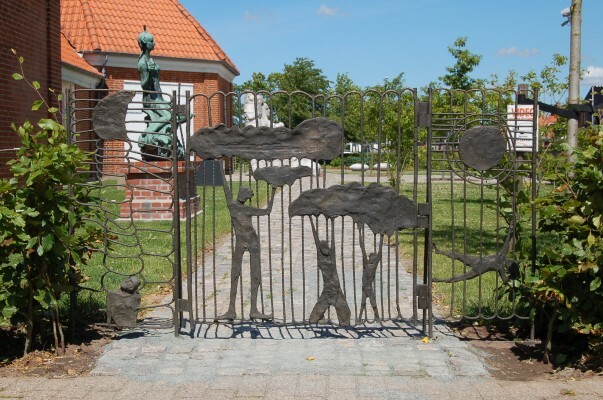 We have contact with more than 1000 Danish and international artists and sculptors. 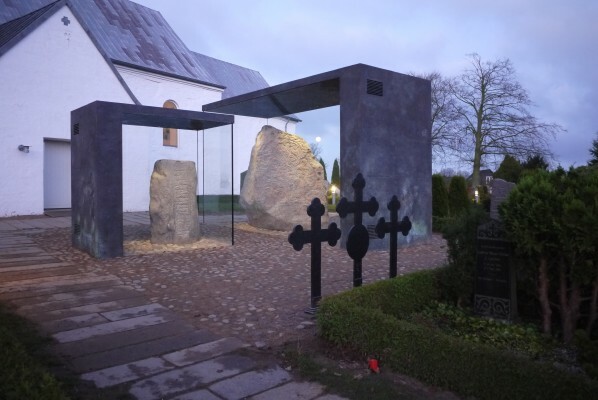 Broncestøberiet has completed commissions for sculptures and monuments in Denmark, Scandinavia, The Faeroe Islands, Greenland, Island, England, Germany, Australia, Japan, USA and Canada. The National Art Foundation of Denmark (Statens Kunstfond). National museums. Other museums and foundations. The Dansih Agency for Palaces & Cultural Properties(Styrelsen for Slotte & Kulturejendomme). The Danish Agency for Culture (Kulturarvsstyrelsen). The Danish Ministry for Gender Equality and Ecclesiastical Affairs( Ministeriet for Ligestilling og Kirke). Many of Denmark’s boroughs and counties. 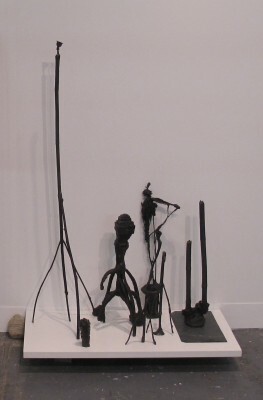 The exhibited bronce sculpture in the exit-exhibition has been cast during Bronzecaster Peter Jensen's course at the school, 2015. 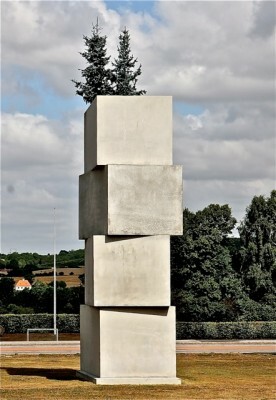 "Treenighedsmonument", Nykøbing Falster Bispegård, 2014. H. 90 x 44 x 39 cm. 2014. H. 88 B. 45 D. 45 cm. 2012. Designer Ditte Hammerstrøm. 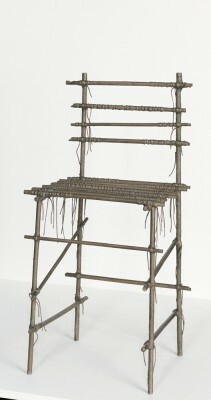 Model in wood and strings – cast directly. Photo: Petra Bindel. Bird, direct cast of dead bird. Face of whale- H. 20 B. 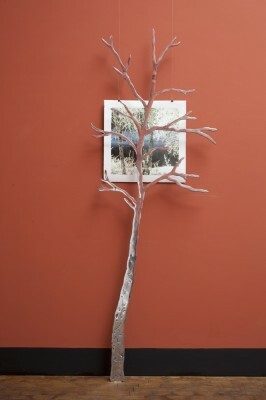 28 L. 48 cm, 2014. Sculptor Emil W. Hertz. Sculptor Emil W. Hertz. Photo: Emil W. Hertz. Borups Plads in Silkeborg. H.750 B.442 D.195 cm. 2008. 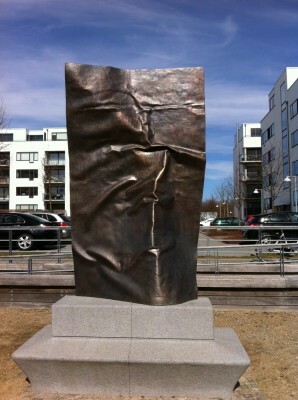 Sculptor Frode Steinicke. Construction in bronze plates from a scale-model 1:20 og CAD-drawings. 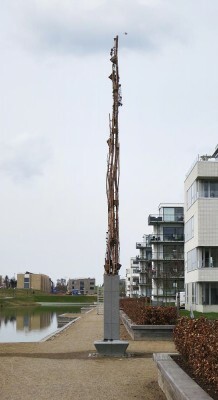 The sculpture is constructed in close co-operation with sculptor Frode Steinicke. Photo: Frode Steinicke. 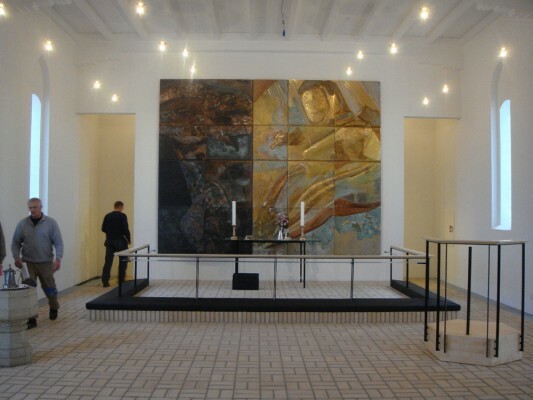 Broncestøberiet has carried out patination on the shaped brass and copper plates for the altarpiece in Videbæk Church. Photo: Erland Knudssøn Madsen. Ca. H. 20 cm. 2012-13. Sculptor Erland Knudssøn Madsen. Ca. H. 20 cm. 2012-13. H.120 x 70 x 40 cm. 2012. 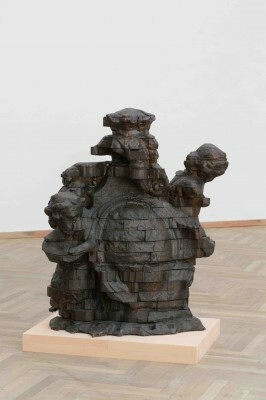 Sculptor Michael Kvium. Photo: Anders Sune Berg. H.230 B.287 D.168 cm. 2012. Sculptor Bjørn Nørgaard. 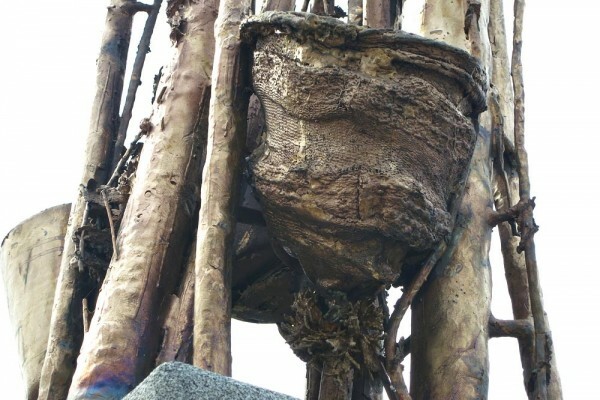 Elder-tree cast directly and gilded. Photo: Stine Heger. H. 21 x 15,5 x 15,5 cm. 2010. Sculptor Bjørn Nørgaard. Photo: Stine Heger. H. 65 B.50 D.43 cm. 2012. Sculptor Kathrine Scrhøder Moseholm. H. 32 x 200 cm. 2012. 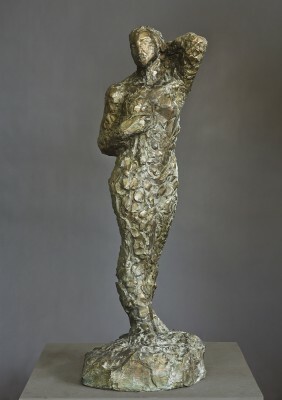 Sculptor Kathrine Schrøder Moseholm. H. 60 x 240 cm. 2012. Sculptor Kathrine Scrhøder Moseholm. Photo: Erling Lykke Jeppesen. Moseholms own recording of the casting. H.107 cm. 2011. 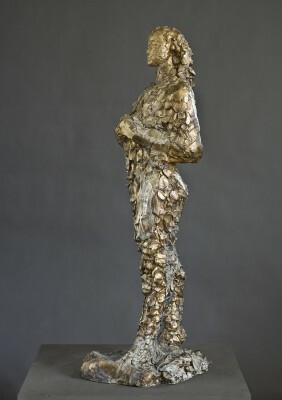 Sculptor Kathrine Schrøder Moseholm. Photo: Erling Lykke Jeppesen. H. 3,2 B.2 L.5,5 M. - H.2,4 B.1,2 L.2,6 M., 2011. Architect NOBEL arkitekter. Modelwork and cast of 56 sq.m. bronze-surface. Cast in formats up to 2,3 x 1,5 m. The roofs have been constucted in bronze plates. Photo: Broncestøberiet. Modelwork and cast of 56 sq.m. bronze-surface. Cast in formats up to 2,3 x 1,5 m. The roofs have been constucted in bronze plates. Photo: Nobel arkitekter. H.52 x 42 x 55 cm. 2011. Sculptor Lisbeth Nielsen. Photo: Ole Haupt. H.100 x 32 x 37 cm. 2011. Sculptor Lisbeth Nielsen. Photo: Ole Haupt. Søndersø, Fyn 2001. H. 215 B. 100 D. 75 cm. Sculptor Bent Sørensen. Photo: Mike Lamb. Pilestræde, Copenhagen. H. 745 B. 360 cm. 2006. Drawn by PLH-arkitekter. By pouring the bronze directly into open moulds the structure of the bronze-plates exsists. Photo: Broncestøberiet. AArhus school of Architecture. 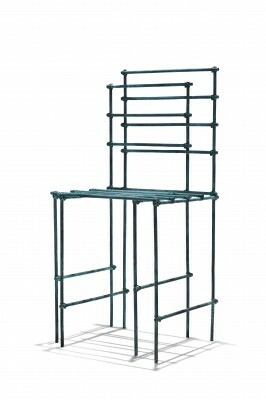 H. 310 x 170 x 375 cm. 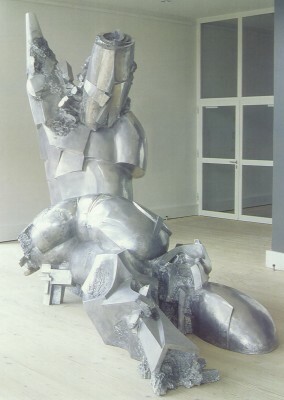 Cast in aluminium and erected in 2000. 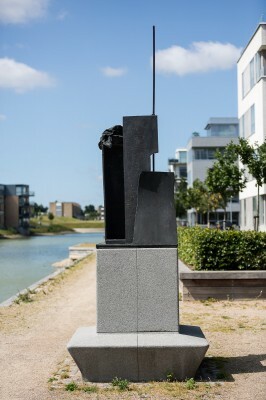 Sculptor Hein Heinsen. Photo: Mike Lamb. H. 65 B. 100 L. 170 cm. 1996. Sculptor Bjørn Poulsen. 2000. 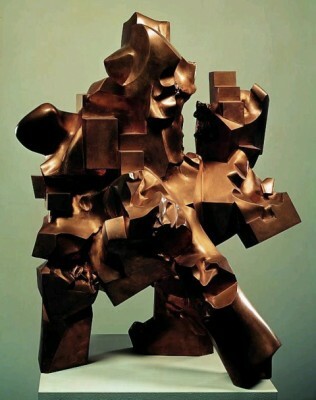 Sculptor Poul Isbak. Photo: Mike Lamb. 2000. 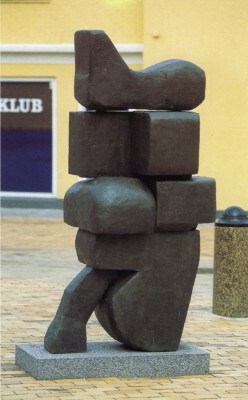 Sculptor Hans Pauli Olsen. Photo: Bent Ryberg. 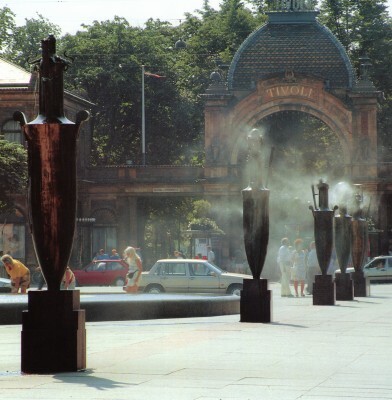 Axeltorv, Copenhagen, 1991. 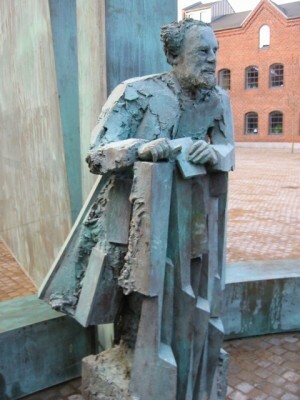 Sculptor Mogens Møller. Photo: Per Bak Jensen. 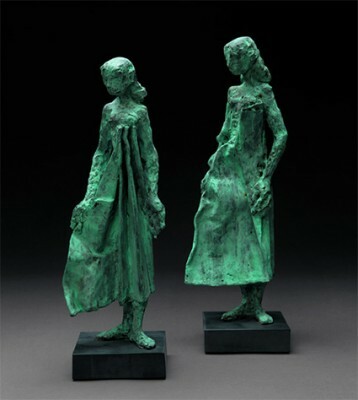 Model-work directly in wax-plates for cast in bronze. 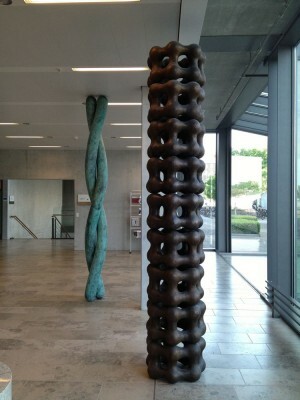 Sculpture by sculptor Henry Moore, situated at the head office of A.P. Møller in Copenhagen. Broncestøberiet carries out regular cleaning and re-patination of the sculptor, in order to maintain its original expression. Photo: Mike Lamb. Copenhagen, errected in 1908. H.450 cm. 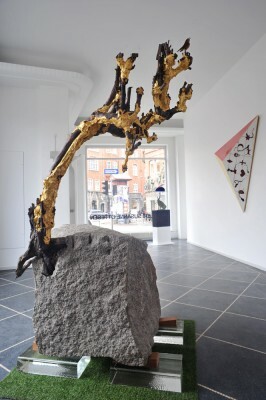 Sculptor Anders Bundgaard. Broncestøberiet has in 2003 made a chemically decalcification of all bronze-sculptures of Gefionspringvandet. 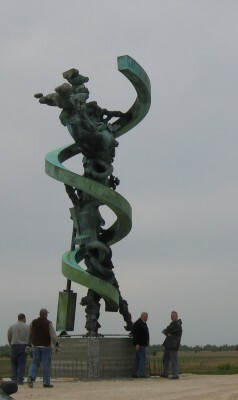 Afterwards the monument has been re-patinated. Decorative work, Ollerup. H.260 Dia.150 og H.230 dia.120 cm. 2005. Painter/ Sculptor Stig Brøgger. Coniferous trees taken from the forest and cast directly. 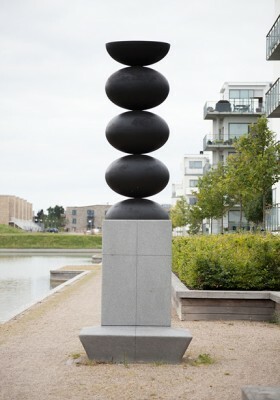 Erected on a 7 meters high concrete base in Ollerup. Photo: Stig Brøgger. Biocenter, Copenhagen University. H. 280 Dia.30 cm. og H. 280 Dia.50 cm. 2010. Sculptor Lone Høyer Hansen. Photo: Lone Høyer Hansen. Søndergaardsparken, Ballerup Municipality. H. 468 x 162 x 131 cm. 2012. 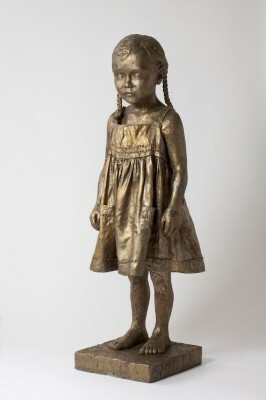 Sculptor Sophia Kalkau. Photo: Sophia Kalkau. Biocenter, Copenhagen University. H.70 B.110 D.70 cm. 2008. Sculptor Lone Høyer Hansen Photo: Lone Høyer Hansen. 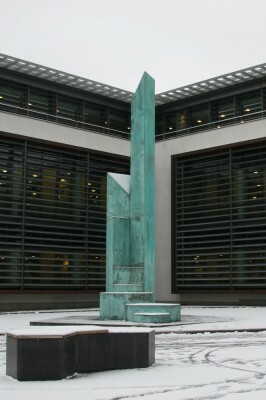 Søndergaardsparken, Ballerup Municipality. H.245 B.133 D.70 cm. 2012. Sculptor Thomas Poulsen/FOS. Photo: Thomas Poulsen.